It took one married couple to produce one of the most recognizable brands in the world. In almost every bar in almost every country, there sits a bottle of Maker’s Mark Bourbon with its signature red wax covered bottle neck. Marjorie and Bill Samuels were icons in the industry for not only making a sweet, smooth bourbon, but also having the inherent marketing know-how to put Maker’s Mark on the map. 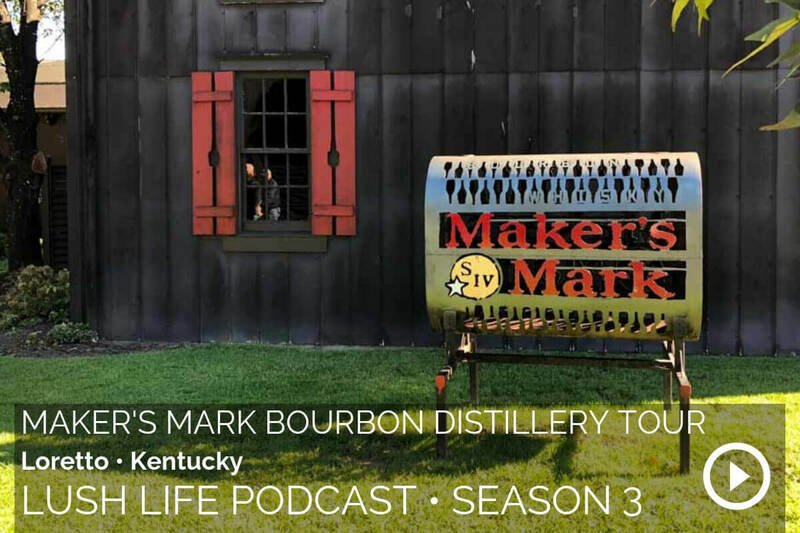 Smack down in the middle of the Kentucky countryside sits the Maker’s Mark distillery. Every drop of bourbon is made right here on site, every label is cut by hand ,and every bottle is hand dipped into that distinctive red wax. Take a stroll with us as Matty, our tour guide, leads us from vat to rickhouse to bottling on the Maker’s Mark Distillery Tour. Try to make the Maker’s Mark Manhattan at home with this easy recipe. Next time we’ll be heading into the English countryside where our guest will introduce us to an award-winning gin, but only after we’ve heard his story.